I first wrote about Mass Fidelity’s Core Bluetooth speaker way back when it was the subject of a highly successful crowdfunding campaign. That campaign raised so much cash that Mass Fidelity quickly put a companion subwoofer on the development fast track. Both speakers have been available for a while, so my reviews of both products are ridiculously overdue. 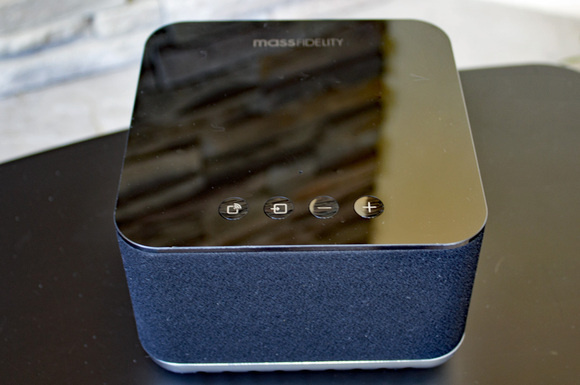 The good news is that Mass Fidelity delivered on every promise it made for each product. The Core itself produces sound that’s completely out of proportion to its size. 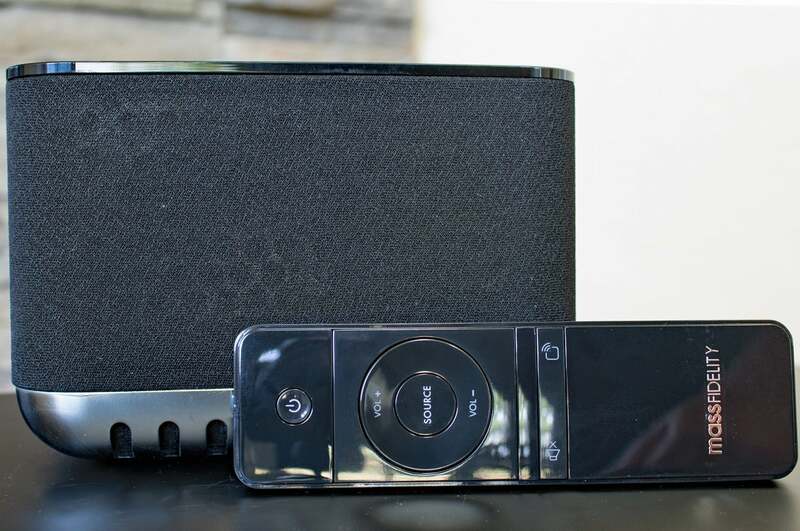 Just six inches square and four inches high, the Cube easily filled my 247-square-foot home theater with sound. The Core’s 120-watt amplifier and five drivers (two full-range speakers in front, one on each side, and a down-firing woofer at the bottom of the chassis) don’t produce the conventional stereo image that restricts the listener to a single sweet spot to enjoy the best experience. The bad news is the Core’s US$599 ($788) price tag (plus $40 shipping to Australia). Ouch. Outfitted with six digital signal processors and an ARM-based CPU, the Core uses an audio rendering technique called wave field synthesis to create a virtual acoustic environment in which the sounds in a recording remain in position no matter where the listener is located in the room (Mass Fidelity calls it “acoustic holography”). In other words, if the drums in your favorite recording were engineered to emerge largely from the left speaker, and the vocals predominantly from the right, that’s how you as the listener will perceive them, no matter how far off axis you might be in relation to the Core’s center. It’s not perfect—true wave field synthesis relies on much larger speaker arrays—but it is quite remarkable. 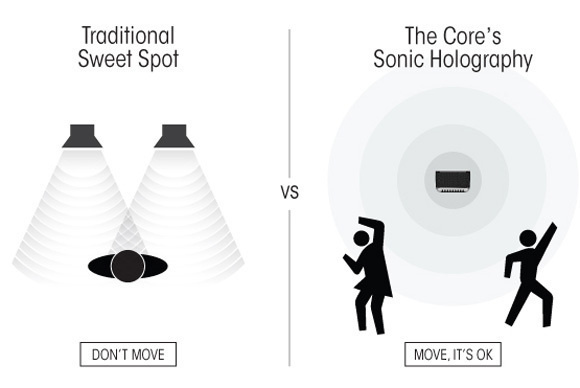 Mass Fidelity’s somewhat tongue-in-cheek illustration of its “sonic holography” compared to a conventional stereo sweet spot. Whether I was listening to Pink Floyd’s “Breathe in the Air” (Dark Side of the Moon), Donald Fagen’s cover of “Ruby” (The Nightfly), or Bruce Cockburn’s “Mango” (Breakfast in New Orleans, Dinner in Timbuktu), I could sit or stand anywhere in my home theater and perceive the same soundstage. And the Core’s audio performance knocked me out with crisp, clear highs; meaty mid-range; and fat bass. In my 2014 preview of the Core, I wrote that the demo unit sounded better than any Sonos component. Sonos has since shipped its second-generation Play:5 speaker, and that is no longer the case. The new Play:5 is somewhat louder than the Core and it delivers more low-end. Adding a Core Sub to the Core erases that deficit, but it’ll cost you another US$299. On the other hand, the Play:5 is significantly larger and is forever tied to an electrical outlet. The Core can run on either AC power or its built-in battery, which is rated to last 12 hours. I’ll go deeper into this comparison when I discuss the Core’s multi-room capabilities. Most people will use the Core as a Bluetooth speaker, but it can also work with other sources, including your TV if you want to use it like a sound bar. The Core’s rear panel has an 1/8-inch analog aux input, a Toslink digital input, and an 1/8-inch analog subwoofer output (Mass Fidelity’s own subwoofer is wireless). The speaker even has a built-in microphone, a feature that enables you to use it as a Bluetooth speakerphone. 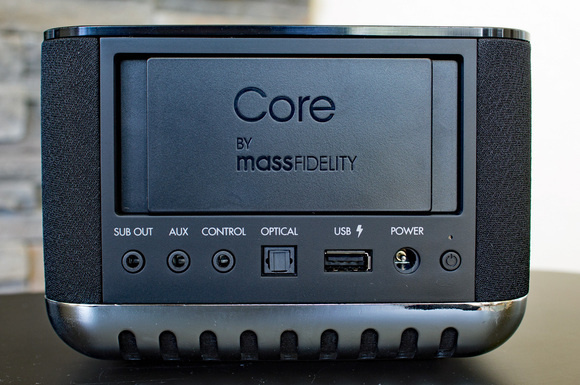 The Mass Fidelity Core can rebroadcast signals from its analog and digital inputs. The USB port is useful only for charging a smartphone or digital audio player. An onboard DAC can handle PCM streams with up to 24-bit resolution and 192kHz sampling rates. And the Core can stream any of those sources—including Bluetooth—to Cores in other rooms in your home (more on that later). The Core comes with a rudimentary remote control, but it’s also outfitted with an infrared receiver port if you wanted to integrate it into your smart-home system. The Core has a Bluetooth operating range of 10 meters (about 30 feet), but obstacles such as walls and appliances quickly reduce that range. My Samsung Galaxy S6 Active lost contact with the speaker when there were more than two walls between the two. If you’re streaming from your phone, you’ll probably want to leave it in the same room as the speaker. The Core supports the aptX, AAC, and SBC codecs, and Mass Fidelity encourages users to stream higher-resolution audio files such as FLAC, WAV, or Apple Lossless (AirPlay, by the way, is not supported). The tracks I tested were all ripped from CD and encoded as 16-bit/44.1kHz FLAC files. The Core delivers amazing bass response for a speaker its size. Most people will be completely satisfied with its performance on that score. Bass fiends—and anyone who wants to use the Core as a sound bar with their TV—will want to add the Core Sub to the mix. Well priced at $299, the sub adds extra oomph at the bottom end, and it frees up the Core’s DSPs to concentrate their computational horsepower on processing mid-range and higher frequencies. So you get more than just more boom in the room with the sub. The Core Sub can be oriented on its side (as shown here); horizontally, so you can slide it under your sofa; or vertically. The Core Sub has an 1/8-inch analog input, but its connection to the Core is wireless; pairing the two takes just a couple of button presses. 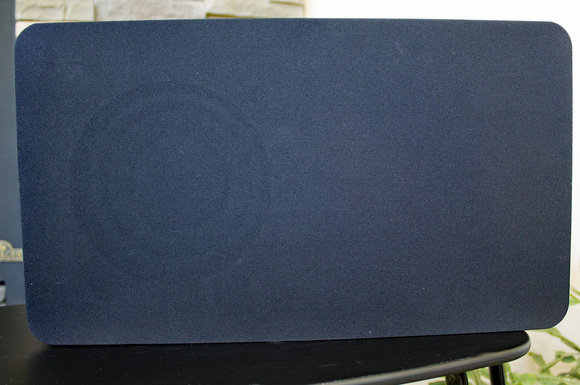 The sub can be operated horizontally, with its speaker firing down at the floor; vertically, bouncing its sound off the wall; or on its side if you add the additional footpads to its four corners. Buttons on the sub enable you to change the crossover frequency, gain, and phase. The sub is a good value, and most people will appreciate its contribution to the Core’s audio performance. But I found that it didn’t like to be driven hard, turning flabby and flatulent if I cranked the volume too much. The Sonos Sub is far better, but it’s also much more expensive at $999. The Core Sub has phase and gain control along with an adjustable crossover. 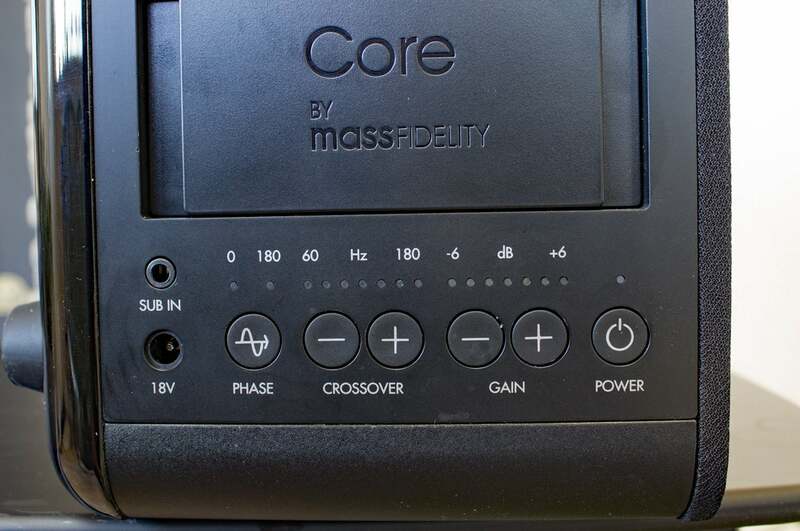 Mass Fidelity pitches the Core and Core Sub as a multi-room audio system, but that claim is a bit of a stretch. On the upside, the master speaker will broadcast the audio from any of its inputs to up to eight other Core speakers over its own proprietary 5GHz wireless network (each Core Sub counts as one of those eight units). On the downside, all the speakers must play the same music—you can’t control them independently from one Bluetooth device. You can switch any Core speaker out of multi-room mode and stream music to it independently, but you’ll need to establish a Bluetooth connection to that one speaker and you won’t be able to control the others from that device. You can also set up four independent networks, each with up to eight devices—32 in all—but there’s no scenario in which you can stream one track to the kitchen, a different one to the bedroom, and a third to the garage from a single source. That’s a piece of cake with a Sonos system. The fact that Mass Fidelity doesn’t have an app for its system is good and bad. On the good side, you can continue to rely on the apps you’re already familiar with. Spotify users can use Spotify, Tidal users can use Tidal, and so on. The output is simply streamed over Bluetooth and there’s nothing new to learn. If you prefer to stream from your own library, using a NAS box running a DLNA server, for instance, you can do that, too. I used BubbleUPnP on my Android phone to stream from my music collection that’s stored on a WD MyCloud Mirror NAS. You can adjust the Core’s volume using buttons on top of its enclosure. The button on the far left enables multi-room mode, and the one next to it switches inputs. On the bad side, the absence of an ethernet or Wi-Fi adapter on the Core means that everything must flow through your smart device—a smartphone, for most people. That will impact its battery life, and as I’ve already pointed out, you’ll feel obligated to leave that device in the same room as the speaker so you don’t risk breaking the Bluetooth connection. If you live in an apartment or a relatively small house, that probably won’t be a burden. If you live in a split-level, it could be aggravating. Sonos still carries the day when it comes to reasonably priced multi-room audio systems, even if it doesn’t have a small speaker that can touch the Core. For all their faults, Mass Fidelity’s Core and Core Sub are remarkable speakers. The company’s acoustic holography isn’t just a marketing gimmick—it really works. In a world where few of us have rooms set up specifically for music listening, with a single chair dead center in the stereo sweet spot, this technology is absolutely fabulous. The Core comes with a basic remote control. It can also be incorparated into a smart-home system via an infrared receiver port in back. The Core delivers remarkable performance for a speaker its size, it can run with speakers several times larger, and you can carry it with you from one room to another thanks to its onboard battery. It’s also beautiful to look at. I’m only slightly less enamored with the Core Sub. It’s not the best subwoofer I’ve heard, but the combination of the two speakers is dynamite. If you want a true multi-room system, stick with Sonos. 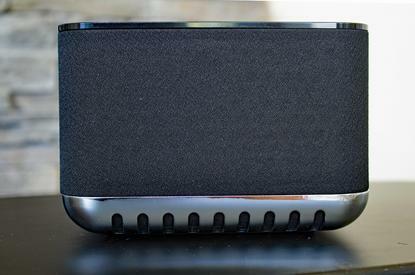 It’s not Bluetooth compatible and it doesn’t boast fancy psychoacoustics like wave field synthesis, but you can buy less-expensive speakers for smaller rooms and its networking technology is far more sophisticated and flexible. As a single-room speaker, I like the Core more than most every other Bluetooth speaker I’ve heard, including Naim Audio’s higher-priced Mu-so Qb. And if you can get over its limitations, the Core is probably the best Bluetooth multi-room speaker system out there (Sonos doesn’t offer native Bluetooth support).